You love mountain biking, and you know that it is important to have all of the proper equipment when you are out there on the trails. Having anything less than the best could mean the difference between having a great time or suffering an accident and needing to carry your busted bike down off the trails. Always take the time to ensure that you have only the very best equipment for the bike, including the mountain bike pedals. If you have stock pedals on your bike, they are not likely going to be good enough for your needs. The best thing you can do is upgrade them. 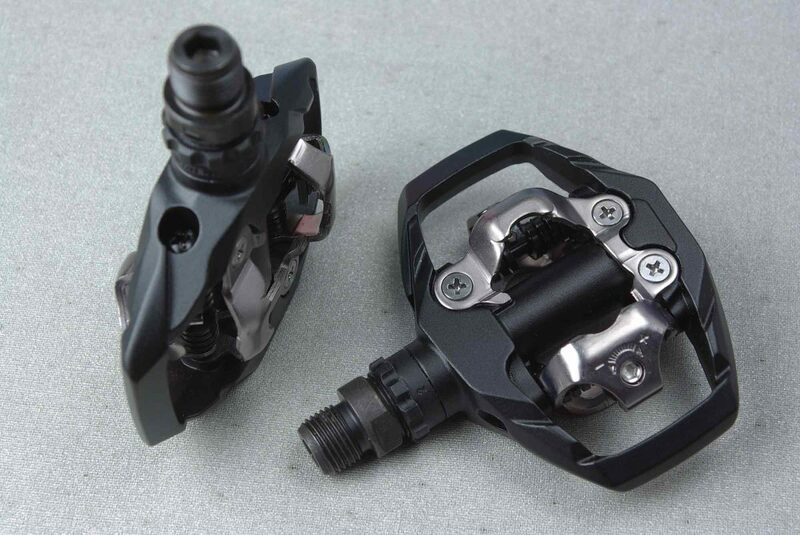 Let’s look at some of the best options on the market today, and then we will delve into some of the different elements you will want to consider when you are choosing your mountain bike pedals. 13 Clipless, Flat, and Combination Pedals – What’s the Difference? 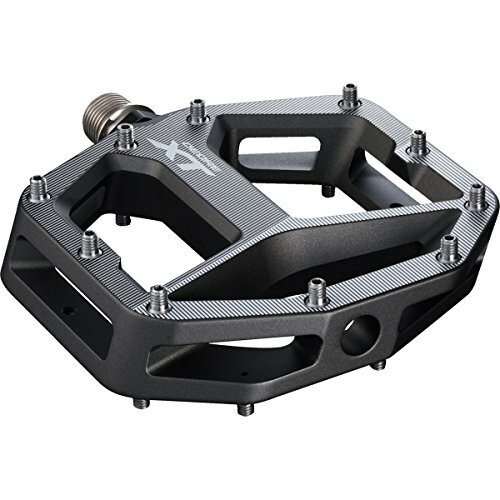 14 How Durable Will the Pedal Be? 16 Is the Pedal Easy to Adjust? 17 How Will the Pedal Deal With Mud and Debris? 19 How Much Do the MTB Pedals Cost? 21 When Should You Replace Your Mountain Bike Pedals? 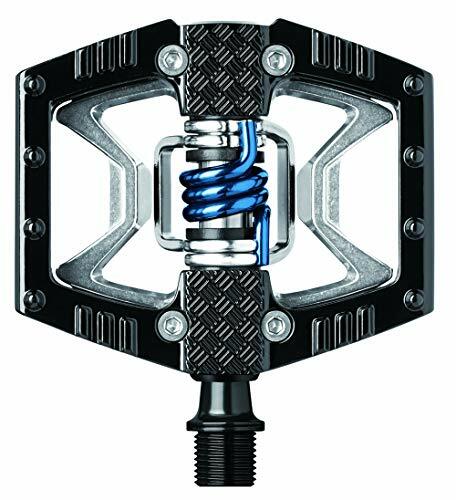 These are very popular pedals for those who love mountain biking, and who are looking for quality pedals that are easy to use and comfortable while riding. This is a flat pedal system, which is helpful when navigating along the trails, and for removing yourself from the bike just in case things do not go according to plan and you need to bail off. They have options that can work with a range of shoe sizes, so be sure to choose the right pedal for your shoe size. The pedals have 10 replaceable traction pins that are offered in low and high heights. It features a concave design, which allows for a better overall grip when you are riding, which can be quite important when you are out on the trails. These are high-quality pedals that are still affordable. These are available in black and have an attractive overall design. They should work quite nicely for many different bikes. These are another quality option that you might want to consider. They are also very cost effective, and you will find that there is a lot to love about the nylon composite and chromoly steel pedals. 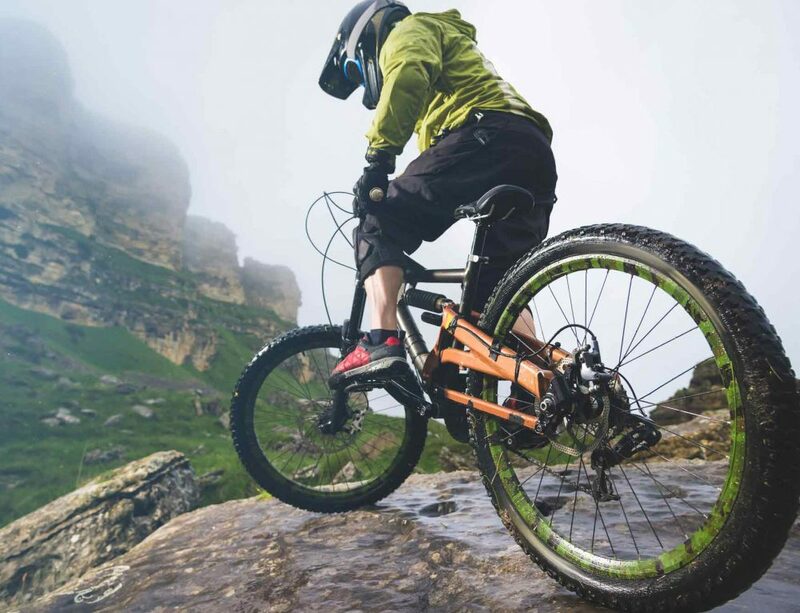 They are lightweight, which means they do not add extra weight to the bike, which tends to be a bad idea for mountain biking. The flat pedals have a large platform and an 8 hex pin system that will help with the traction and grip. This ensures you feel confident that your feet will not slip when you are riding. You will also be able to choose from a range of different colors with these pedals. They are available in black, yellow, purple, red, blue, green, orange, and turquoise. It should be possible to find a color that is going to work for just about any aesthetic style you might have. 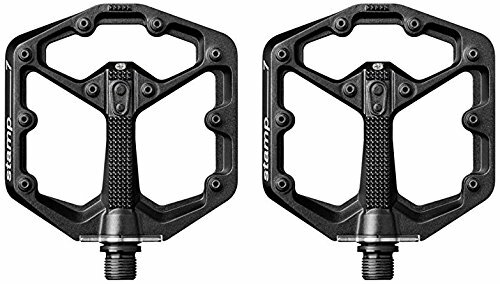 These are a fantastic choice for those who are looking not only for pedals that can work well for a mountain bike, but pedals that could also work well for a commuter bike. These are essentially hybrid pedals that are meant to give you the best of both worlds no matter where you might be riding. If you are someone who has to use their bike in the city and on the trails, they could be the best pedal to choose. They offer premium bearings and seals including Igus LL-Glide bearings and Enduro Cartridge Bearings, along with Double Seals. The pedals are lightweight and strong, as well as durable. The diamond plate pads are great for traction, and you will find that they can help to shed mud easily, which is ideal for those who get out on the trails when the conditions might be a bit wet. These reliable pedals are available in a range of colors, as well. You can choose from the black on black pedals, black and raw pedals, red and black, blue and black, or orange and black. There should be a color combination that works for you. The pedals feature an integrated cage, along with a sealed cartridge bearing spindle, and adjustable entry and release tension settings. The pedals are durable and reliable, and they can work well for cyclocross and mountain biking, and even for commuting during the winter months. These pedals, available in black, are somewhat heavier than other options on the market, but their durability and affordability still help to make them a very popular choice. One of the other benefits of the pedals is that they will have cleats included with them. They are easy to use, low-maintenance pedals. This pedal has a thin platform with a concave aluminum body. The pins load from the bottom, and the fact that this has a shorter spindle design helps to save on the weight. This is one of the features that makes it a good choice for a trail bike. They are very durable, and they can be a very good choice for your pedal upgrade. The pedals are smooth and long-wearing thanks to the cartridge bearings and the DU bushings. You can choose from three colors with this pedal – black, blue, and red. This company offers a range of great and innovative pedals, and the Eggbeater 3 pedals are no exception. These are strong and durable pedals that are going to last. They have a unique design, which helps them to be more reliable when you are out on the trails. Your feet are simply not going to miss the pedals, which ensures that you will have more control over your bike. One of the other advantages, that mountain bikers like, is the fact that they are so lightweight compared with other pedals on the market. You can choose from several colors with these pedals – black, matte black, red, blue, and electric blue. 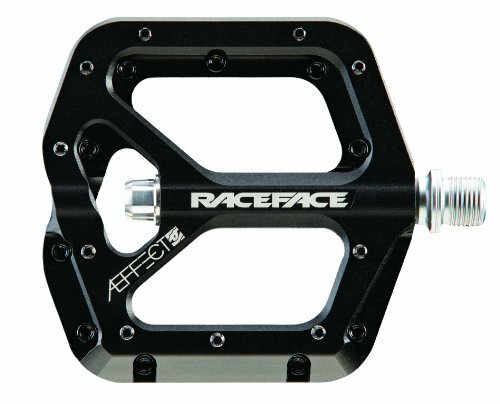 These pedals could be a very good option for those who are in need of quality, upgraded mountain bike pedals. 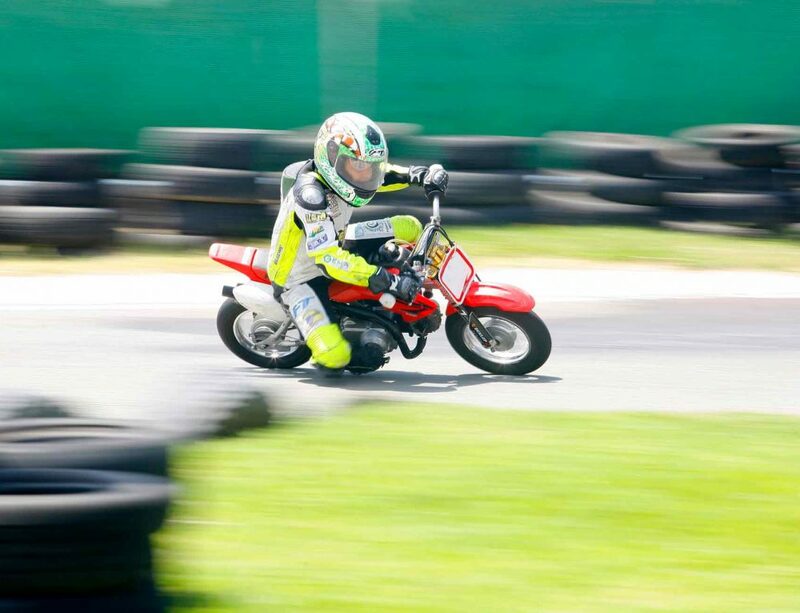 However, you will find that they could work quite well for many other types of bikes, as well, including cruisers, single speed bikes, road bikes, BMX, and more. They are very versatile, and they are quite reliable. They have a large platform where you can rest your feet, and your feet are not likely to slip off of them when you are riding. They have an aluminum alloy body, sealed bearings, and you can find them in a range of colors. Choose from black, black and green, black and red, black and silver, blue, gray, and red. There should be something that should match your bike. This is a two-sided clipless pedal that will easily clip into the system and provide the rider with a substantial amount of stability. 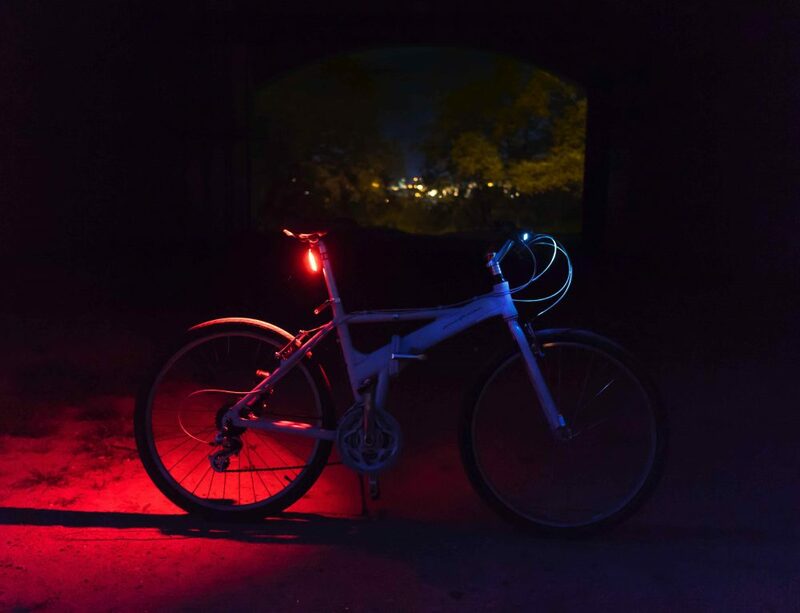 It is easy to operate, and you will find that it can work well for mountain bikes whether you are out on the trails, or whether you are riding around the city. This is a dependable pedal system that is durable and that even comes with a pair of bolt cleats. 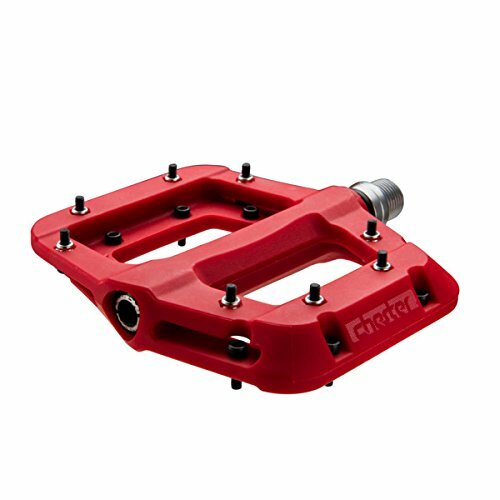 The Crank Brothers Stamp pedals could be a good option for many on the hunt for new pedals for their mountain bikes. They have a 114mm by 111mm platform footprint, and there are 10 adjustable pins on each side, which can help to add more grip, as needed. These pedals feature Igus LL-glide bearings and enduro cartridge bearings, which can provide a nice and smooth pedal rotation. You can choose from quite a few different color and style options. There is gray, black, red, blue, raw (without any color), and the USA limited edition, which is red with blue accents. These pedals are also quite popular, and with good reason. 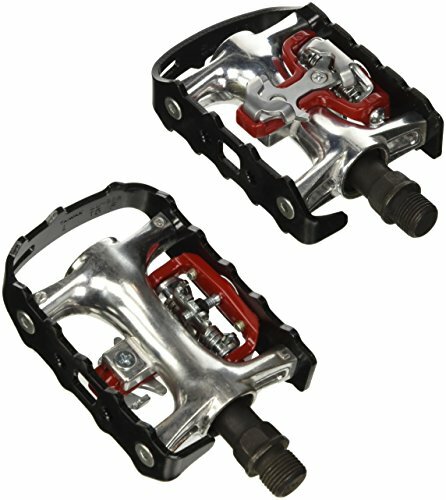 These are dual sided pedals, and they are clipless and very easy to use. They have a clipless version on one side and a cage on the other, so you get the best of both worlds. You will also find that these pedals tend to be quite durable, and they can last for many hundreds of miles without worry. They are going to provide you with an ample amount of stability and security when you are riding, making them a nice solution for those who are on their mountain bikes. As you can see from the sampling above of some of the best pedals that are currently available, there are many options from which you can choose. Of course, with all of the options and all of the different features, materials, and types of pedals available, it can be difficult to know exactly which pedals will be right for you. Will it be one of the above options? Will it be something else? How do you understand the different features? It can certainly seem intimidating when you are just starting out with a mountain bike and you do not know much about your options. You don’t know the difference between clipless and flat pedals, and you aren’t sure if platform pedals are the same thing as flat pedals or not. You want to make sure you are spending your money wisely, of course, so that means you are going to want to take a little bit of time to research and think about the types of pedals that are likely going to be the best solution for you. Consider all of the following information regarding pedals when you are making your choice, and it can help you more easily narrow your selection. Compare this type of information with the type of riding that you plan to do. 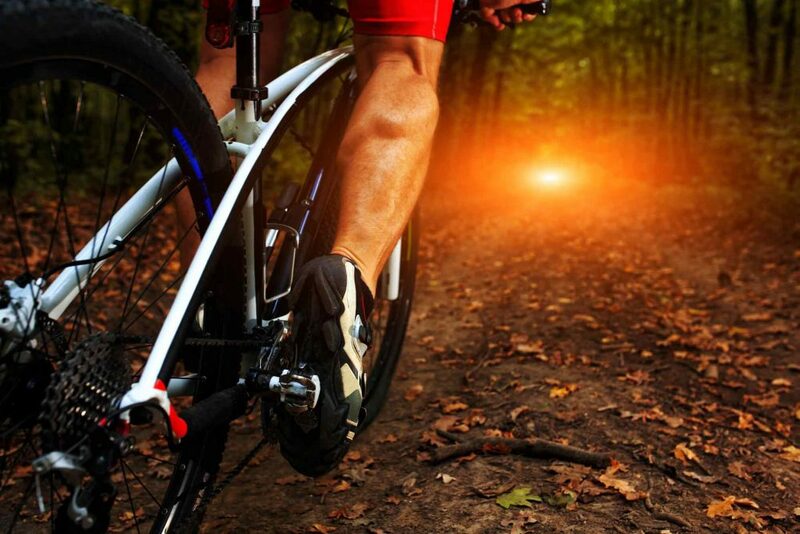 While all of the pedals that are mentioned above are going to work well as mountain bike pedals that you can take off road and onto the trails, you will find that some of them can work quite well in the city and for commuting, as well. If you are going to be using your bike for multiple purposes, these could be the pedals that you might want to consider. It will all depend on how and where you plan to use your bike. Clipless, Flat, and Combination Pedals – What’s the Difference? This is one of the first things that you will need to learn when you are choosing pedals. There are basically three types of pedals from which you can choose, and they all have different strengths and weaknesses. Flat pedals, which are also called platform pedals, are a very common option. 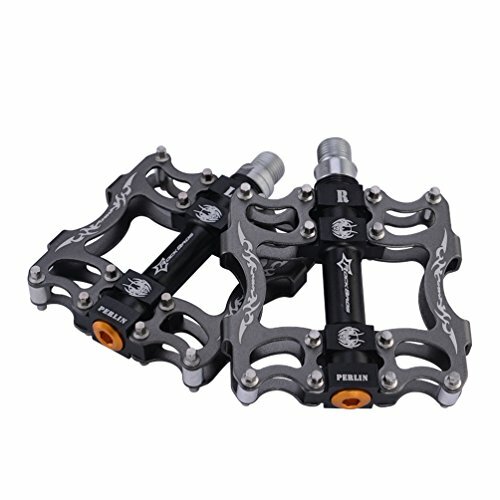 In fact, you will find that when you buy mountain bikes from the store or online, they are going to come with these types of pedals as the standard. One of the biggest benefits of these types of pedals is the fact that they are so easy to use. You will just be able to get on the bike and go because you will not need to have any type of special shoes to use with them. As long as the shoe itself has a flat bottom, you should have no trouble. Another one of the reasons that these might be a good option for those who are brand new to riding is the fact that they make it easier to bail off the bike if needed. Those who are just beginning with mountain bikes will find that it can sometimes be more difficult to bail with clipless pedals. They can still be stable, and most riders feel that they are about as stable as the clipless pedals. 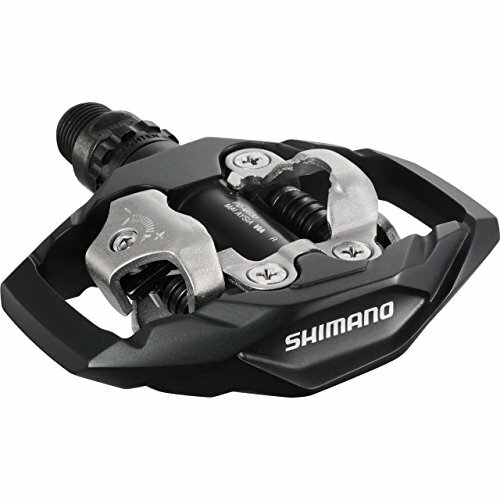 The flat pedals also tend to be quite affordable, which is another reason they are popular. Clipless pedals are another option, and these tend to be very popular with mountain bikers. These will usually come with cleats, which you will attach to the shoes that you use for mountain biking. These are going to clip into the pedals, which is going to provide you with a much better grip, so you will not have to worry about your feet slipping off the pedals when you are going over particularly rough patches on the trails. For those who are just starting out, these can be tricky to become accustomed to, but you should not have any problems after a few rides. 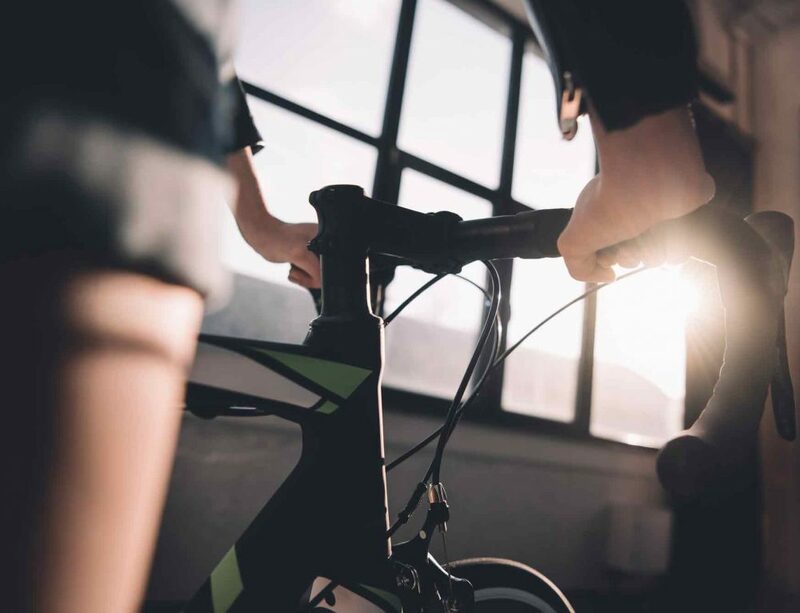 If you are going to choose this option, and you have never used them before, consider going on some short rides at first to get used to how they work and how to “unclip” your shoe quickly for when you are stopping or when you need to ditch the bike. They have some nice advantages to them, as they tend to provide you with more overall efficiency as a rider. 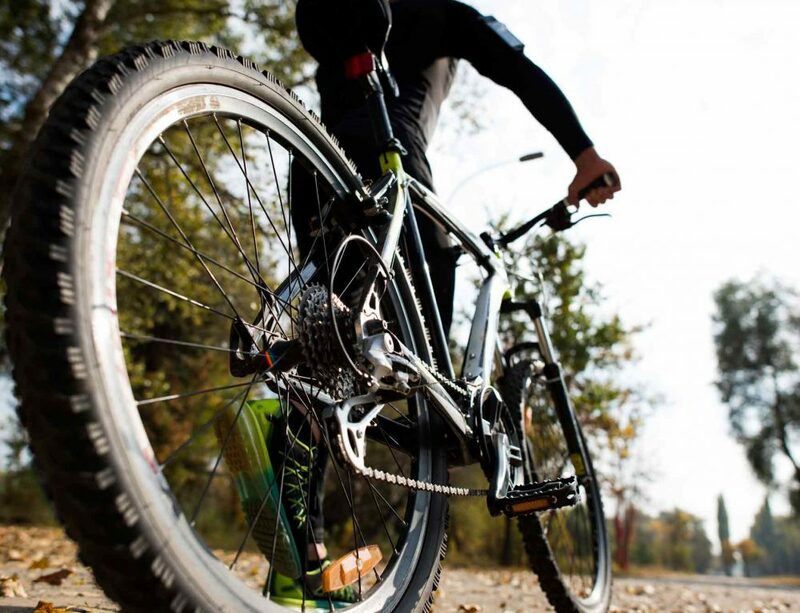 They also tend to be smaller and lighter, which will help to reduce the weight of the bike and can mean that they are not going to scrape on obstacles on the trail. Of course, there is also the option of the combination pedals. These pedals are going to provide you with both clipless and flat pedal options. There are a couple of types of combo pedals. One has a clip that is included with the flat pedal on both sides, and the other has a clip on one side and a flat pedal on the other side. These are good for those who may be riding in different sorts of terrain and who want to have the best of both worlds. The pedals are generally larger than other types of pedals, and they will be heavier. If you use the bike for multiple purposes, and not just on the trail, these could be a good solution. Now that you have a better idea of the different basic “types” of pedals, you will want to consider some of the other factors that will go into making your decision. How Durable Will the Pedal Be? One of the questions that you will want to answer is how long the pedal is likely to last. Ideally, you will have a pedal that is made from strong, quality materials and that will be able to stand up to the trails for many years and thousands of miles to come. Of course, the way you treat and care for the pedals is going to play a role in how long the pedals will ultimately last. Good durability in the pedals will mean that they can withstand coming into contact with all of the hazards that you encounter out there on the trails. This might include rocks, bushes, and debris. Are you going to be able to maintain the pedal on your own? Some of the pedals available are going to feature removable parts. This means that if one of the parts becomes damaged and needs to be removed, you can replace just that part without needing an entire new pedal. Other pedals will require that you replace the entire unit. Even though it could take longer to work on your own pedals, you may find that you can get more life out of the pedal when you replace parts on them rather than the entire pedal. This can ultimately mean lower expenditures, as well. Of course, it will depend on how much time you have and whether you want convenience rather than the affordability of doing your own repairs. Is the Pedal Easy to Adjust? Along the same lines as the maintenance of the pedal, you will want to consider the adjustments that you can make to the pedal and how easy, or difficult, those adjustments might be. Does the pedal have a pin system, and how easy are they to adjust? Can you adjust the pedal tension settings and the float adjustment? How Will the Pedal Deal With Mud and Debris? One of the other considerations when you are choosing a pedal is going to be just how well they handle debris and mud. This is generally called the shedding capability of the pedals. You do not want your pedals to become caked with mud or other debris, as this will just cause a problem when you are riding. It could even cause your feet to slip off the pedals. You should choose pedals that have a good reputation for being able to shed mud and other debris. It is going to help make your rides more pleasant. Many mountain bikers want to have a bike that is as lightweight as possible, while still remaining durable. This is because there may be some stretches of trails where they need to carry their bike. Therefore, you are going to need to consider the weight of the pedals to see how much they will be adding to the weight of the bike. 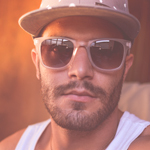 However, make sure that you are not sacrificing quality materials just because you want something that is lightweight. You need to strike a balance. How Much Do the MTB Pedals Cost? Of course, one of the other factors that you will need to consider when it comes the mountain bike pedals you choose is their cost. Keep in mind that you should also think about the overall quality and reliability of the pedals, and how long they are going to last when you are determining the true cost of the pedals. 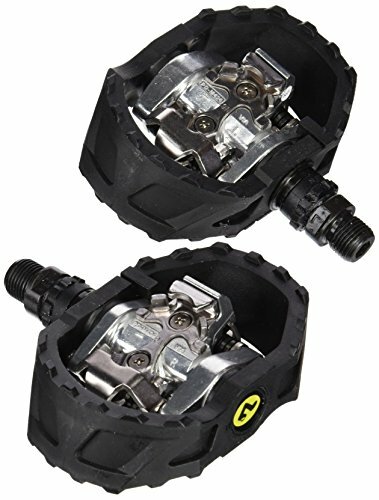 No matter how much you spend on your mountain bike pedals, you want to make sure that they are going to last. This means proper care and maintenance are essential. You should make it a habit to clean the pedals off after each ride, particularly when you have had a rough ride and have gone through mud. You will want to remove them from the bike and clean them thoroughly every month or two depending on how often you ride. When you clean them, this is also a good time to do an inspection. You can check to see if there are any issues with the pedals that could mean you need a repair or a replacement. Keeping an eye on your pedals and adjusting them, and making repairs, as needed, will help to keep them in shape for a longer period. It also ensures that you do not have any unexpected and unpleasant surprises with problematic pedals when you are out on the trails. When Should You Replace Your Mountain Bike Pedals? If you have stock pedals on your bike, you might not feel that you need to replace them quite yet. They might still be working well enough for you. However, many riders tend to want to upgrade after a few months with the stock pedals, and that could be a good idea for you, as well. For those who have had their pedals for a while, whether they are stock or upgraded pedals, there will come a time when you need to replace them, as well. You will want to consider how well they are performing, whether you have had problems with slippage, and whether they are still in good condition. You never want to keep pedals that are going to become a hazard to you when you are out on the trails. If you are ever in doubt as to the quality and effectiveness of your pedals, it means it is time to change them. They tend to be very fast and easy to change on your own, but you could always take them to a professional if you need some help. By now, you should have a much better idea of how to choose the mountain bike pedals that are going to be right for the way you ride. There are some great options out there, such as those pedals listed above. Find the perfect choice to upgrade the pedals on your bike, and then get out there and start enjoying the trails.